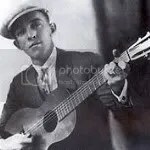 A few months later, on October 20, 1928, Jimmie Rodgers recorded four songs but this time with the support of a band (Dean Bryan, guitar; C.L. Hutchison, cornet; John Westbrook, steel guitar; James Rikard, clarinet; George MacMillan, string bass). These songs are some of the best he made, with train whistle imitation in Waiting for a Train and a new Blue Yodel. Winston Holmes is a bit of an enigma. He was probably born around 1898 in Kansas City (Missouri) and was a good looking and restless man. He started a record label, Merritt Records, and was a performer himself. His vocals were energetic, with bird calls, train whistles and yodels. He made some songs with Lottie Kimbrough, a blues singer who made a career in the twenties. You can hear them together on Lost Lover Blues and Wayward Girl Blues. 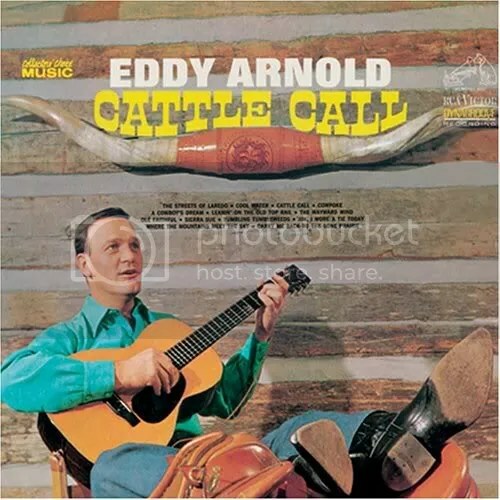 He also made a session with Charlie Turner playing twelve-string guitar and harmonica on Rounders Lament and The Kansas City Call, with bird calls on both songs and yodel on the second one. No more info about all this, but these yodels are very early examples, at a time where Jimmie Rodgers was popularizing them. 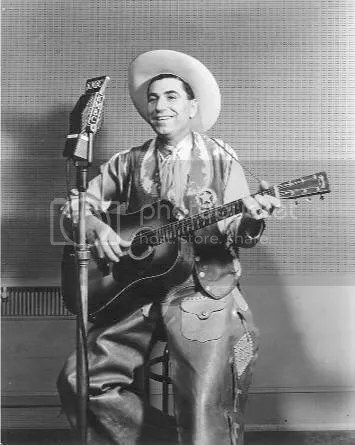 For this week, let’s listen to Tex Owens, an American cowboy yodeler who isn’t very known but his song, Cattle Call was a big hit for Eddy Arnold and dozens of others after him. I’ll write a special post about this song but I first want to present Tex Owens himself. He was born as Doye Hensley Owens in Texas in 1892 and died in 1962… and for the rest of his biography, there is a very good one on All Music Guide, so I won’t rewrite it here. He worked a lot for the radio and played in movies. 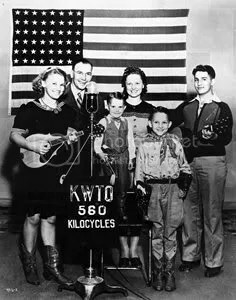 His daughters became singers too, the oldest one, Laura Lee worked with Bob Wills. But why did he yodel ? I have no idea, the information about him is really scarce on the internet. He worked as a real cowboy and at that time, almost all the singing cowboys yodeled… And his yodel is beautiful ! But if you have more info, write me. Rocking alone in an old rocking chair, no yodel with a nice whistle ! Jon from Poetry is for Assholes told me he heard some songs of Wylie and the Wild West. So here’s a post about him. Wylie is in fact Wylie Gustafson, the man responsible for the Yahoo yodel. He is known for his repertoire of western swing, country, rockabilly and yodel. 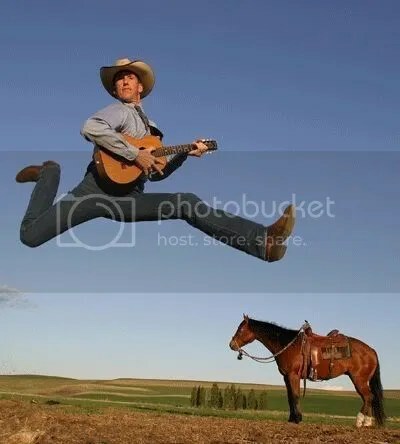 He was born in 1961 in Montana (USA) and learned to yodel from his father, who himself learned it from the Austrians from the ski team at Montana State College. In the liner notes of his Total Yodel ! album, he says this: “My dad used to yodel up on the ski hill. Every time he’d get to the top of the hill, he’d shake the snow off his skis and let out a yodel. That was our signal to go down the hill. Off course, that led to us trying to mimic him. I remember when I was 10 or 12, I tried to yodel and I could do it better than my brothers.” Later, he would fine-tune his yodeling with the help of an Austrian yodeling lessons record. Wylie formed his group, the Wild West Show in 1989 and since then, they have recorded 13 albums and toured around the world. At the same time, Wylie Gustafson is a real cowboy: he owns a ranch where he trains and sells horses. And if you want to learn yodel, buy his book: How to Yodel: Lessons to Tickle Your Tonsils. His songs are sometimes nostalgic, inspired by the sounds of West Coast country music, like western swing or honky tonk, with some touches of rockabilly in some song. His inspiration comes from the life of the cowboys and many songs speak about cattle, fence building and tumbleweeds. Here are some songs from different albums. He also made a full album of yodels (Total Yodel ! ), at popular demand, with Jimmie Rodgers songs and more European style yodels but this will be for another post.